Earlier this year, we embarked on an exciting hotel-wide renovation at Disney’s Grand Californian Hotel & Spa at the Disneyland Resort. The most extensive refurbishment since the hotel’s 2001 opening, guest rooms have been completely redesigned with a fresh sense of luxury and the pool deck has been refreshed with beautiful, new hardscapes to reinforce the Arts and Crafts style. The already stunning six-story Great Hall lobby was recently upgraded with new, stylish furnishings and design elements. Here’s a closer look at some of the details found in the lobby. To complement the existing Arts and Crafts motif, new contemporary designs can be found throughout furniture pieces, upholstery graphics, woodwork and carpeting. New hardwood flooring has been installed throughout the lobby, as well as new carpet. 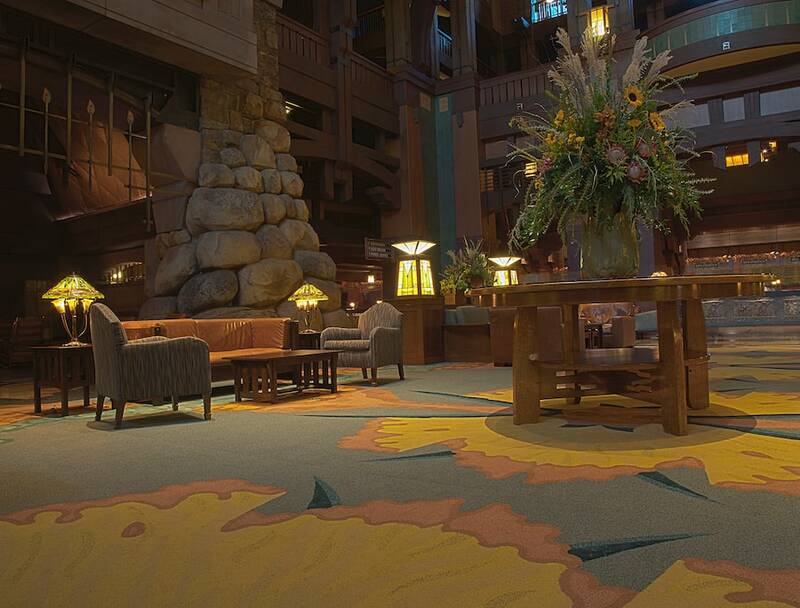 Imagineers wanted to keep the same California-poppy-patterned carpet design, but used different materials to make the colors and textures more vivid and dimensional. The carpet’s design was inspired by the textile work of designer William Morris, one of the earliest and most influential proponents of the Arts and Crafts movement. 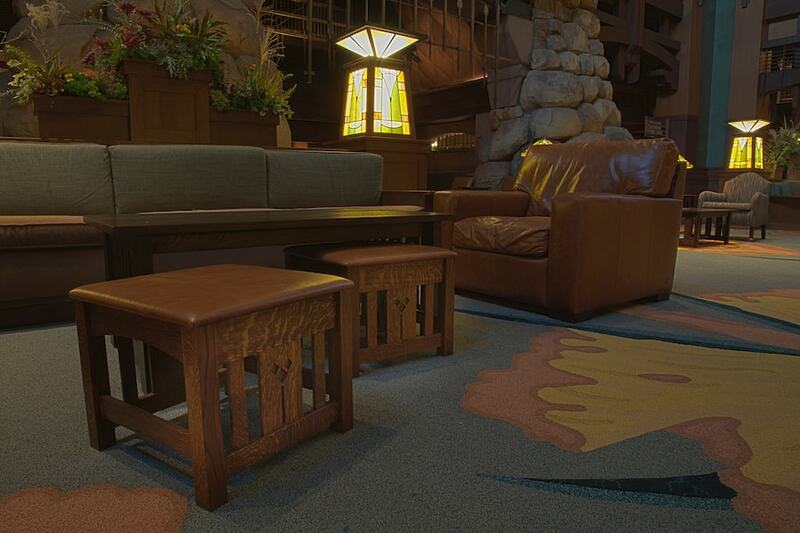 What’s your favorite feature of staying at Disney’s Grand Californian Hotel & Spa? The referbished lobby looks very nice. We see that the piano has been moved to the far end of the lobby. Don’t ever get rid of the piano. Our favorite spot is to sit in front of the hearth and listen to the soothing piano music. After a long and tiring day, it’s the happiest place on earth! I had to add this… we were just discussing the transition and the comment was made that it looks more like a waiting room, or holiday inn lobby. The unique feeling is gone! 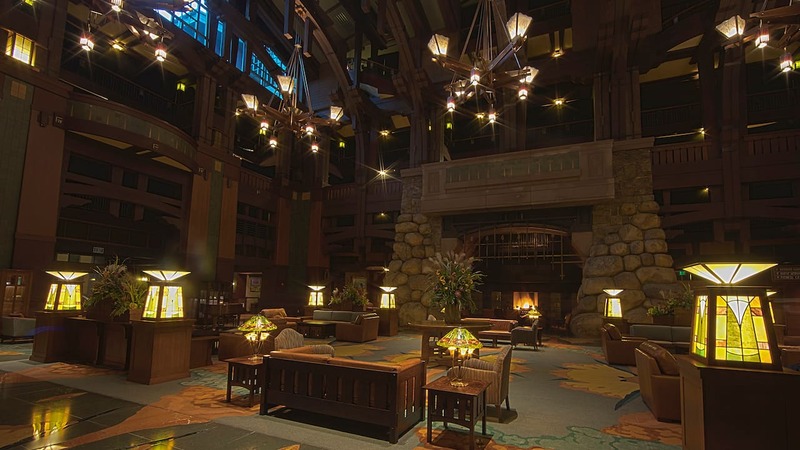 This is so sad… I’ve been staying at the Grand Californian since us opened. I’ve always entered the Great Hall with a sense of awe! The beauty and majestic feeling was incredible! I looked forward to each and every visit with great anticipation! It was like coming home for me and my family! I’ve been waiting for the updated design concept of the Grand Californian to be complete. The contemporary additions have fallen short of the elegance of the Grand Lodge arts and crafts original design. The colors, orientation, fabrics, etc. are more contemporary and doesn’t fit. The overdone contemporary trends shouldn’t have been applied to this environment. The name should be changed to the Contemporary Californian… Grand no more! ? 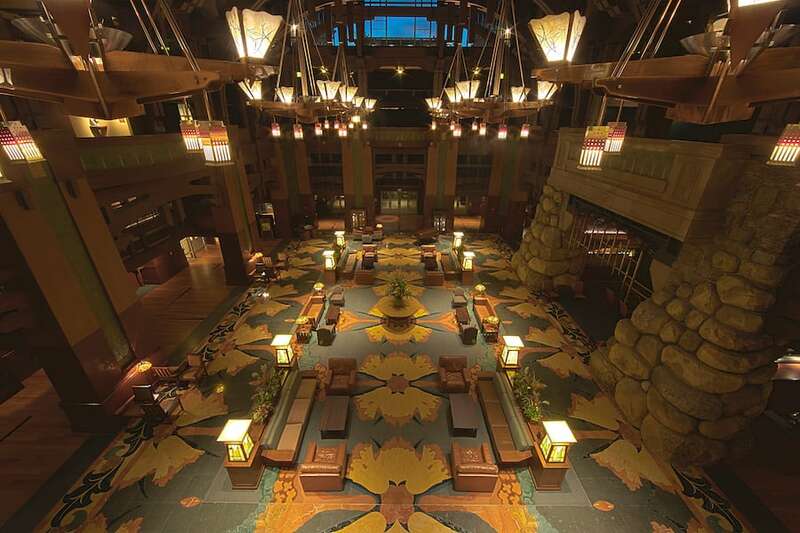 The Grand Californian is one of my DVC Home Resorts and the lobby has always been one of my very favorite places on Disney property since we first stayed in the regular hotel in 2005. The theming is impeccable and I always feel at home hanging out there. I’m excited to come back and see the updates! 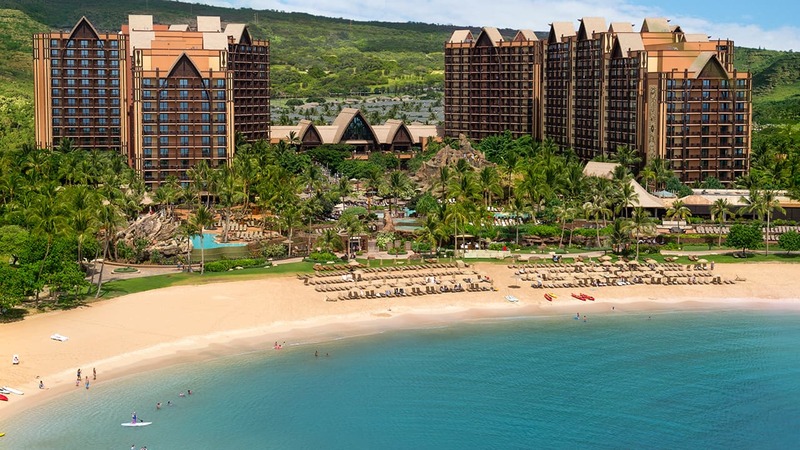 I was at the resort this past summer during the renovation. I am pleased with what I am seeing in the pictures. I can’t wait to return and enjoy without all the work going on. It was my first visit and I really enjoyed the ambiance of the hotel. I enjoyed the location as well. In all it is a very relaxing get away.